Do you like watching anything from the Internet such as movies, homemade videos, and even sports events, but wish to fully enjoy them via a large HDTV screen? Then Veebeam is the one for you. Introducing Veebeam, an ingenious device which transmits just about anything that you can see on your computer screen to your TV – wirelessly. This means that you don’t have to put up with annoying wires anymore, and it only takes you a few minutes to set up. The main unit itself looks stylish and inconspicuous, and the signal can pass through effectively even in between walls. The all new Veebeam HD model can stream on your TV, videos of up to 1080p for a clean, crisp and vibrant picture as well as the optical audio output lets you enjoy your surround sound. One great feature that makes the Veebeam different and special is its “Play To” mode, which lets you stream files directly without the need to display them on your laptop screen. All you have to do is download and install the Veebeam software from their website, and then plug the USB transmitter on your laptop. This means that even when you are watching something on your large screen TV via your laptop, someone else can still surf or work on it at the same time. Probably the only reason why you won’t have to buy this is that you will need a decent computer processor in order for you to enjoy an entirely perfect video, so it wise to check your system requirements on the Veebeam website first. There is a 2-second picture delay, which makes the Veebeam less helpful for gaming or surfing the net on your TV. However, Veebeam absolutely works nicely, if you meet the minimum requirements. If you own a laptop with 2.2GHz and 2GB of RAM or better as well as you have a decent enough battery life which allows you to leave your laptop on and playing while watching on your large TV screen, then Veebeam is the right device for you. You can watch anything you wish to with Veebeam – from TV shows and movies streamed on BBC iPlayer, 4oD, Hulu, YouTube, to downloaded video as well as personal photos. Also, Veebeam works perfectly well with business presentations. Just connect the main unit to a projector, and then the USB transmitter to your laptop. You will be up and running within seconds, and you will never have to bother with looking for that VGA cable ever again. 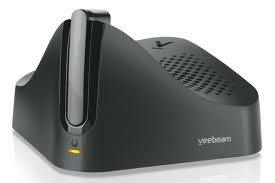 To conclude, Veebeam is the solution for those who use the Internet as part of their daily lives. With Veebeam, people can finally share their favorite movies, photos, videos and practically just about anything with others directly on their large TV screen. There is probably no other device available on the market that can offer the conveniences Veebeam can bring at such a reasonable price. Veebeam is available in the United States, Europe and the United Kingdom. You can buy it now it either on Amazon.co.uk or at the Veebeam website.